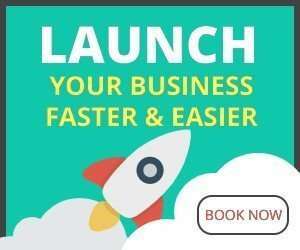 If you are a serial entrepreneur or an aspiring business owner then learning how to write a business plan should be an essential part of your skill set. Being able to write a convincing business plan will help you improve and grow your business. Let’s start with what a business plan is: it is a document that outlines the vision for a business for a particular time frame with the reasons why the goals in the vision are attainable. Many entrepreneurs get confused on what to include in their business plan. In short, there is no correct answer. What you include in your business plan depends on the business, the purpose of the business plan and the intended audience. Each goal for the business plan requires a slightly different approach and its contents should be written specifically for the intended audience. 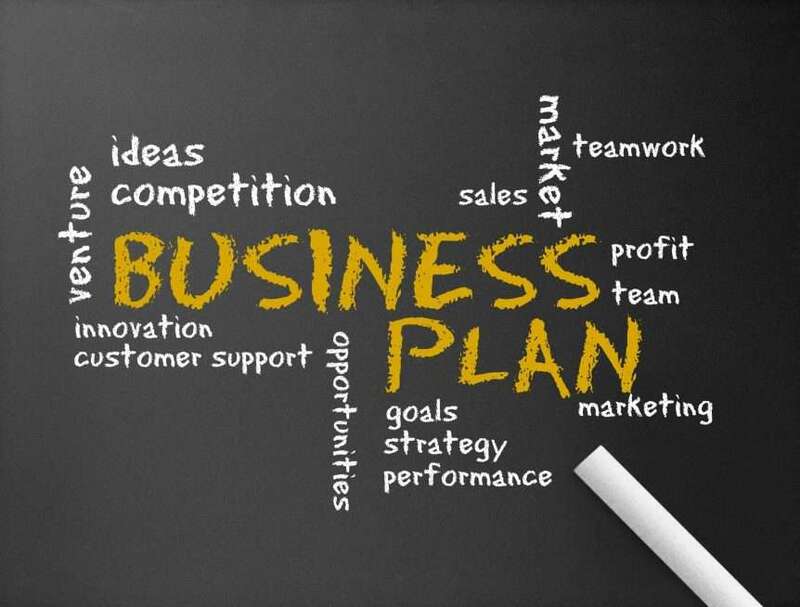 This article will help you to write a business plan for your particular situation. We will take a look at the main components of a business plan, and what needs to be used for different plans and audiences, by the end of the article you will have a clear idea of how to write a business plan for your business. If you do not require external funding and have a simple business model that requires a little planning, it is possible to run a successful business without a business plan. You will only require a Minimum Viable Product (MVP) or a test of your business concept before moving on to launch your business. If you do require external funding or if your business model is complicated then you should seriously consider writing a business plan. Many businesses with great products do not get the success they expected on start-up because they did not have a business plan to work from. A lack of planning or poor planning is one of the reasons why 80% of start­ups go out of business within the first year. Without a core aim or vision, your business will struggle to grow as you do not understand what is required to make the business a success. You are just muddling along. Having a clear vision allows you to think strategically about how you are going to achieve your goals. A business plan is a great way of testing the feasibility of your business model. You may be doing fine at a certain point in time, but the market changes constantly. The market analysis done in the business plan will allow you to foresee potential changes. Being able to predict what is going to happen in the future gives you the option to change the strategy of your business to keep ahead of the market and your competition. A business plan forces you to think about what resources you will need to meet your targets. You may need additional capital, staff or stock to achieve the goals laid out in your plan. A business plan gets the team focussed on exactly what they need to do to meet the objectives of the business. Mini Plans are typically 6­-10 pages long; they are for businesses that require small amounts of capital (5k or less) or are funded by the entrepreneur or their friends and family. Most businesses will only require a mini plan. The mini-plan can also be used a “Taster” for longer business plans that require a shorter punchier business plan. This is the standard business plan that can be used for investment from a variety of sources. Should be between 15-­30 pages long depending on business and amount required. Whom you are writing your business plan for plays a huge role in how you approach and write your business plan. Wealthy individuals, the mostly invest in companies within their industry. They are looking businesses that have good growth potential and can generate a return on their investment in the next 2­5 years. It is likely an Angel Investor will get involved with the decision making within the company so it is important they feel they could work with you. Your business plan needs to be succinct and convincing. You will have to demonstrate you are a passionate, dedicated and knowledgeable about the business. Venture Capital Companies are mainly focussed on companies that have hyper­growth potential. VC’s are less interested in the individual’s personality, but they are interested in the general competence of the team as they want to understand your business has the management team that will drive growth. If you are writing a plan for a VC, then your business needs to be highly developed. It is important to have compiled solid market data to back up the potential growth of the company. Crowdfunding is a great platform for almost any type of business. Businesses that perform well on this platform usually have a cool idea, something innovative that captures the imagination. Make sure your business plan is engaging and sells the benefits of your business. Business grants panels usually decide whom to award the grant to business who meet the criteria, in instances where there are limited funds businesses and competition who present the most convincing case for the money. You need to approach writing a business plan for panels by firstly ensuring you have met the criteria in as much detail as possible. Secondly, you need to take a step back from the criteria and try and add as much value to your plan to ensure your business plan stands out from the rest. Banks are only interested in ensuring they get their money back. They do this by reducing the risk to themselves by ensuring they only lend money to businesses who meet a very strict criteria. Essentially they want to be sure that you have the skills and experience to run the business, and they usually ask for some collateral to put against your loan if the business does not work out as expected. When writing your plan for a bank, you will need to ensure your financial model is robust. This means you will have confidence that your marketing plan will provide you with the sales you are expecting. The above are account for no more than 10% of business funding activities. The majority of businesses are started by the entrepreneurs themselves. They get loans and investment from their friends and family. Topped up by startup loans from banks and government. This does not mean you do not need a business plan; you just need to write one that will help you get your thoughts together and run your business. Ok, now lets get into how to make a business plan. The Executive Summary is your opportunity to sell your business or business idea. You need to prove that your business is unique, viable, profitable and you have the expertise and people to make it happen. It is possible the Executive Summary will be the only part of your business plan that will be read. If your Executive Summary does not intrigue the reader, they will reject your plan without reading the rest. 2. Does the business have the products or services to capture this market? 3. Does the business have the expertise and the people to make it happen? 4. How much money will the business make? 5. What is the future of the business? The Executive Summary should be no more than two pages long, preferably one page and should focus solely on answering the questions above. Remember the Executive Summary is a selling tool, use positive language and incorporate market research and numbers from reputable sources to substantiate your points. The Business Overview is a high­level view of your company should explain who you are, how you operate and what your goals are. Clearly describe what you are selling, focusing on customer benefits. Incorporate details about suppliers, product or service costs and the net revenue expected from the sale of those goods or services. Consider adding pictures or diagrams. The first thing you need to state clearly in your business plan is where the business is going and how you intend to get there. Your vision statement should represent your aspirations; it is the framework for all of your strategic planning. Your vision statement needs to be both attainable and ambitious. As a business owner, your vision statement must embody the passion that you have for your business. A great vision statement can help you find the right employee’s and help attract investment in your business. When thinking of your vision statement think where you want to take your business in the next 3,5 or even 10 years. Whether you are starting up a new business or running an existing business, you must identify the fundamental reason for your business to exist. Making money is an obvious choice, but this is not a good enough reason alone for the business to exist. The reason for your business to exist is your “mission” and this should be summarised in a maximum of 30 words. What problem(s) does your business solve? The answer to this question is usually your mission. Business objectives are set at a high level and are quite distinct from any more detailed functional objectives set for the functional areas of business. The objectives cascade down from the mission getting progressively more specific. Overall objectives are translated into more specific goals for different parts of the business The hierarchy ensures that at each level the objectives are consistent with the objectives that are above them in the hierarchy. ● Market Share ­ % of your market that is taken by your business. The unique selling point should be mentioned in your mission statement. It is what you believe makes your business different and will draw customers away from your competitors. Why will people buy your product or service and, what makes it unique? You need to show the user that your business has something special that will make people come. This is called your unique selling point (USP) The most popular way of finding out what your USP is the by going through the 7ps of marketing and finding out where your business‘s strengths and weaknesses. However, to refine your USP you should be able to answer the question below competently. ● Why should I do business with you instead of anyone else? ● What can your product or service do for me that others cannot? ● What can you guarantee me that no one else can guarantee? To determine what sets them apart, businesses should look at several key areas, including the service they offer, the market they cater to, the products or services they sell, their customer experience, and their pricing. You should give a detailed analysis of the product in this section. You should explain the key functionality and features if the product and an overview of the technical specifications. Make sure this section is not too long. Do not confuse the audience by being too technical. 1. Customer Service ­ how you provide good customer service and look after your existing customers. 3. Operations ­ explain how your back office functions will support your business. 4. Business Development ­ demonstrate procedures and activities your business will undertake to continually develop your product/service. An existing business should give an overview of how their business currently operates. If you are writing a business plan to get a loan or investment you need to explain how your business will operate after you have received the obtained the additional funding. A proven track record in your particular business is more attractive to potential investors as they feel reassured when there is evidence that the market exists, and you have been successful in penetrating it. If your business has been trading ensure that you present a positive but accurate picture of your business. If you have audited accounts, add them to the appendix of your business plan. Even if an investor decides to invest in your business, it will be subject to due diligence, so it is best to open and honest about your trading history. If you are a brand new startup, include any details you may have regarding a prototype and test of your products to back up your assertions. If another business can copy or steal your ideas, inventions, contacts, designs or knowledge, your business is at risk. Protecting your intellectual property is crucial for the sustainability of your business, potential investors will be reluctant to invest in a company whose intangible assets are not protected. There are five main ways to protect your business‘s intellectual property. ● An organisational chart with descriptions of departments and key employees. ● Information about owners, including their names, the percentage of ownership, the extent of their involvement with the company and an overview of their experience and skills. ● Profiles of your management team, including their names, positions, main responsibilities, and experience. ● List any advisors, such as board members, accountants, and lawyers. Investors will quickly realise that your business does not have the required management team to grow the business and will not invest. In your business plan, you should list the key skills, qualifications, and experience of your management team. You should highlight the teams the most relevant skills to grow and manage the business. 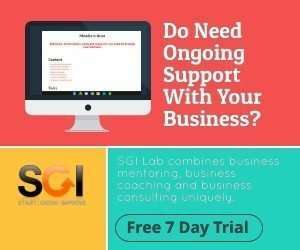 If you are running a very small business or do not believe your management team have the right skills to you should try and find a business mentor or non­executive director that can add valuable experience and credibility. In your plan, you should also mention who will carry out the essential tasks in your business. Be relatively brief as you have mentioned your core operations earlier in your plan. Explaining when and how much money your business will make is the most important part of your business plan. No investor or bank will inject funds into your business if your plan does not foresee making a profit. This does not mean you should be overly optimistic about your plan as serious investors will challenge the assumptions in your plan or perform due diligence on your business before they make a firm offer. Explain exactly how your business will generate revenue, including all potential sources of income. Will your revenue come from sales, advertising or additional products/services? There are many different business models to choose from, prove in your plan that you have chosen the best model for your business and your chosen market. Your plan should include a detailed explanation of your start-up costs, the cost of sales (costs to produce your goods/services), administrative costs and asset purchases. Rising costs hit many small businesses as they grow, if possible, you should include a plan of how you will keep costs down using by procuring the best value goods and services. A simple break even graph will help support your profit and loss statement, showing your audience exactly how many units need to be sold to break even. Managing your cash flow is crucial for small businesses, especially in the first couple of years. Your plan should include and detailed cash flow. Take the information from your sales & expenditure forecasts but you need to make assumptions about how fast you will get the money after you have made a sale and how quickly you intend to pay your creditors. As a rule, you should try to convert sales into cash as soon as possible and hold off paying your supplier as long as possible. The financial section should also include a balance sheet. A balance sheet is a statement of assets, liabilities and capital of your business. Balance sheets are difficult to forecast, use your forecasted P&L, capital purchases, and capital inflow to assist you. Make sure that your p&l, balance sheet, and cash flow are consistent with each other. You will need to include ­ Forecast P&L ­ Forecast Cash Flow Forecast Balance Sheet & Fixed Assets ­ Start Up Cost It is usually advisable to have financials for 3-­5 years with the first couple of years completed monthly. You have to explain to the audience exactly how much money you require and what you intend to do with it. This is the whole point of doing the plan so make sure you ask for a reasonable amount and can back it up. In this section, you should also get the audience a glimpse of the long-term plan for the business going beyond the timeframe of the plan. If you think in 10 years the business can be a global brand now is the time to mention it. This should lead to your exit strategy for the business; Investors want to know when they will get their money back. The only likely exit strategy for most businesses is a trade sale to a larger business. Mention in your plan the type of business that would potentially be interested in your business in the next few years. Writing a business plan can be tough for some entrepreneurs. The key to success is understanding your business, the market, and your competition. Another important factor in writing your business plan is understanding the purpose of the plan. A business plan written for a bank loan is very different from one that is written for a crowdfunding campaign. A bank will focus on the business ability to repay the loan whereas an individual on a crowdfunding website would invest in a product because they think it is cool or understand the cause of the business. When writing business plans for our clients, we tend to use the framework above as guidance but write plans based on who the intended audience is. We would recommend you have different versions of your plan if you are attempting to get funding from a variety of sources. A key thing to remember is that your business plan is also a key selling tool for your business. Your plan should be succinct and concise, between 20 and 30 pages, any additional information can be put in an appendix. Summarise your business plan by creating a presentation; it is a great way of focusing your business. You should also tailor your business plan to the audience that you are presenting it to, highlighting what you think they will be most interested in. An excellent example of this is the difference between a bank and an investor. Banks want to be sure you will repay your loan so you should place emphasis on your cash planning. An investor wants to know how profitable the business will be and how much money they can earn from the business and how quickly they will see a return on investment. When writing a business plan for a potential investor you need to explain how much money they could make from their investment and when they will get this. Writing a business plan is not easy and can take alot of time. Whether you need a business plan for investment, funding or internal management we have a number of business planning services available. Visit our business plan writing services page and fund out how we can help you.